This home has a natural flow that shows off its many upgrades. 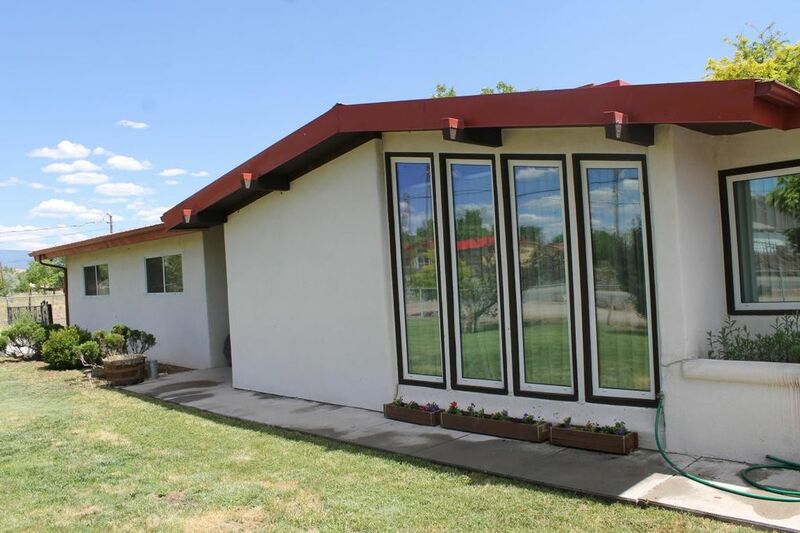 With city utilities it is sited on an 0.73-acre lot with irrigation rights and includes a private water well that is used for watering lawns, shrubs, and flowers. The home features many amenities like beautiful granite counter tops in a large kitchen, beautiful cabinets and a swan stone sink. Has a nice blend of tile and carpet. The master suite is a must have. Both baths have swan countertops and sinks. All wood doors throughout the home. The home is heated and cooled with a central forced air Heat and Refrigerated air combo unit that evenly maintain comfortable home temperatures. The garage, while two cars, is oversized and has plenty of storage space. Directions: When you enter Espanola take Hwy 68 Riverside Side Drive until you come to the stop light on La Joya Street, turn east/right on La Joya Street, home is on the right.